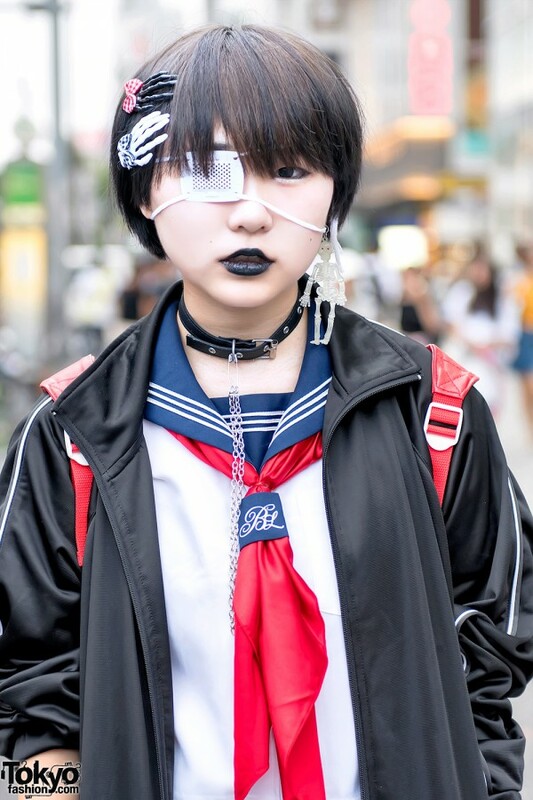 Lemon is a 14-year-old Japanese student who easily caught our eye on the street in Harajuku. 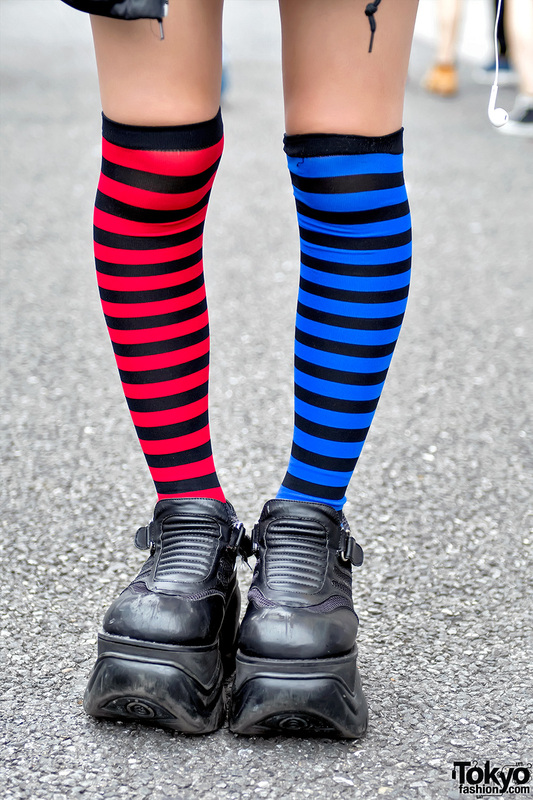 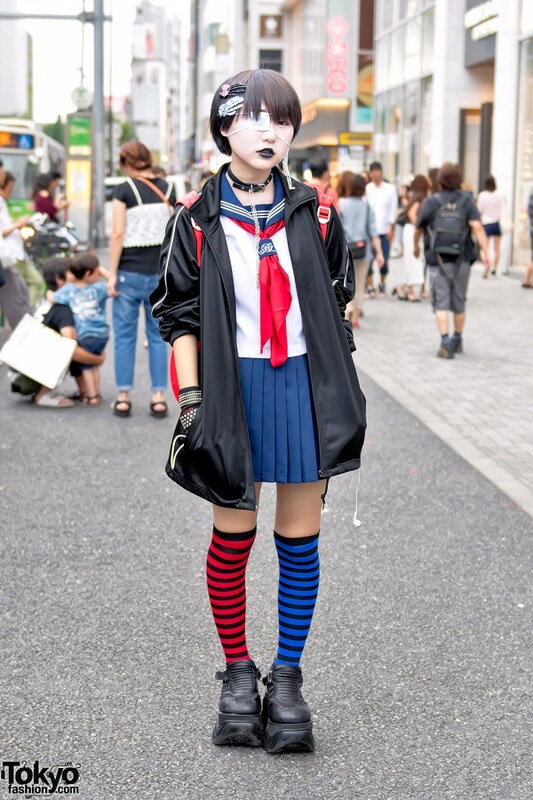 Her look features a Japanese school uniform inspired top, tie, and pleated skirt (all purchased resale) with tall Demonia platform boots and striped socks. 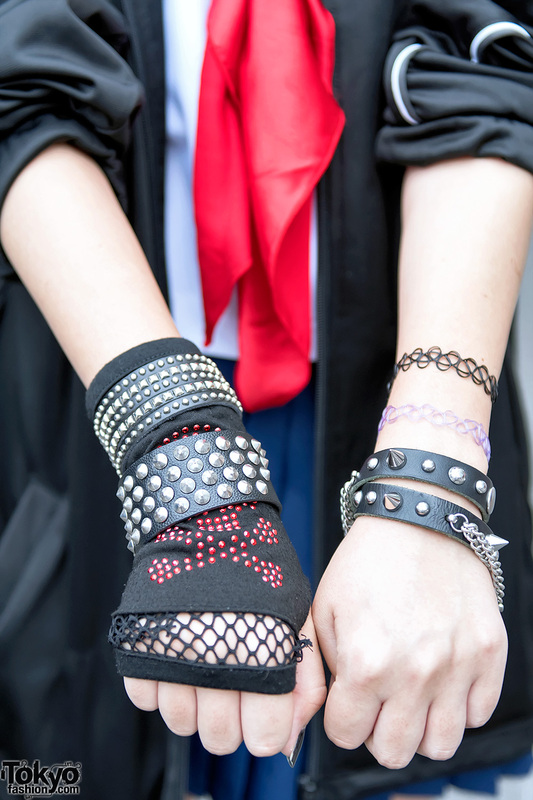 Some of her accessories – which include a choker, skeleton hands hair clips, and eye patch – came from Claire’s. 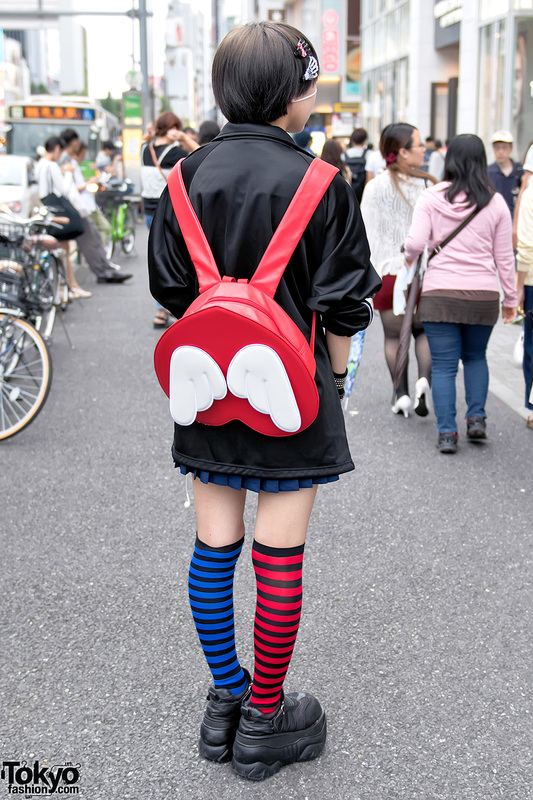 Her bag choice is a heart shaped backpack with wings by the Japanese idol group Momoiro Clover Z.
Lemon’s favorite fashion brand is Hellcatpunks. She likes the music of Dempagumi.inc and Momoiro Clover Z. 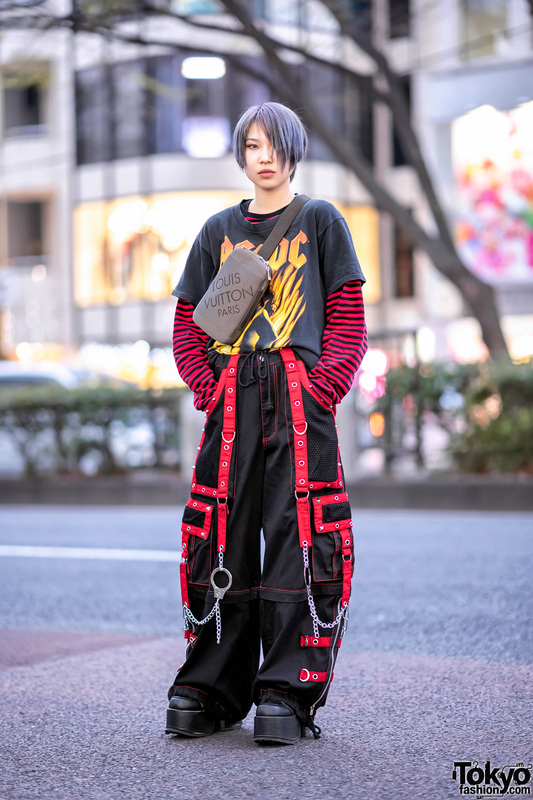 Follow Lemon on Instagram or Twitter for more updates.